Metro plans to relocate Kiss & Ride lots at four stations this summer to accommodate shuttles during a summer-long shutdown along the Blue and Yellow lines. The lots at Huntington, Van Dorn Street, Braddock Road and Eisenhower Avenue stations will be moved in April, Metro said in a press release. 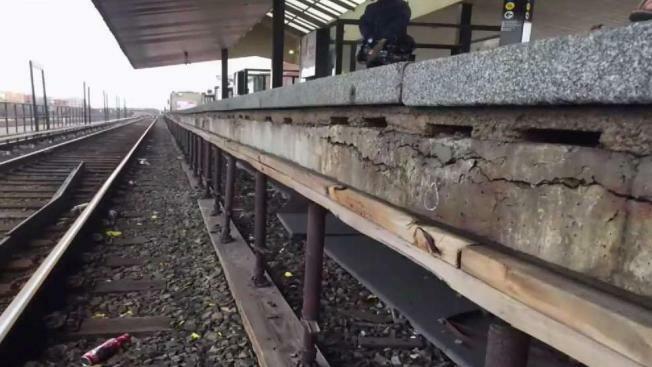 Metro is launching a summer Improvement Project to make badly needed repairs at on platforms. The following stations will close between May 25 and Labor Day 2019: Braddock Road, King Street, Eisenhower Avenue, Huntington, Van Dorn Street and Franconia-Springfield. Blue and Yellow Line commuters can use shuttle buses to travel through the area. To accommodate those shuttle buses, Metro is closing its Kiss & Ride lots and opening temporary drop-off zones. On Sunday, April 14, Kiss & Ride lots will close at Huntington Station's north and south sides and Van Dorn Station. On Sunday, April 21, about half the Kiss & Ride lot will close at Eisenhower Ave Station. On Monday, April 22, the Kiss & Ride lot will close at Braddock Road Station. Each will reopen at the conclusion of construction projects, Metro says. Bus bays will also be relocated at those stations. ADA parking spaces, bike lockers, bike racks and other features may also be affected.